The supported languages are currently English, Dutch, French, German, Greek, Italian, Polish, Russian and Spanish. Requires (Windows version): Windows XP/Vista/7/8/8.1/10, DirectX 9.0+. 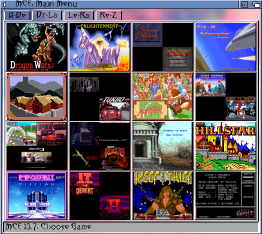 Requires (AmigaOS 3.5/3.9 version): OS3.5+, 16Mb free RAM. Recommended (AmigaOS 3.5/3.9 version): RTG, AHI V4+. Miscellaneous improvements and bug fixes. Go to Emerson Arcadia 2001 Central for games, manuals, etc. for the emulated systems. 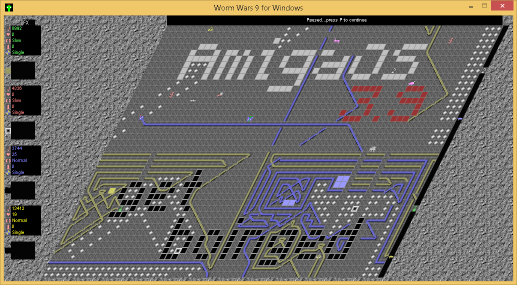 This is an advanced Tron/Snake-style arcade game for up to 4 simultaneous players. The supported languages are currently English, German, Greek, Italian, Polish and Spanish. 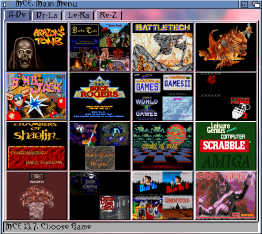 Requires (AmigaOS 3.0-3.9 version): OS3.0+, 2Mb free RAM. 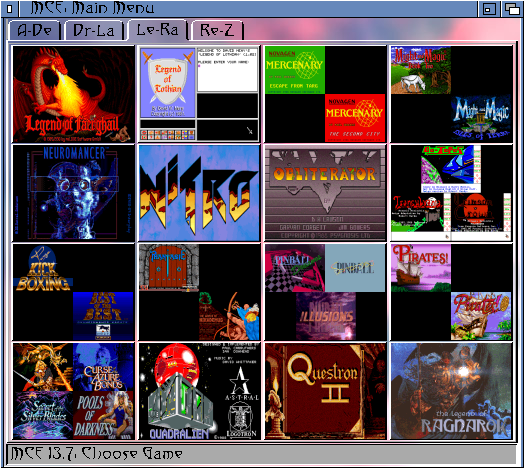 Recommended (AmigaOS 3.0-3.9 version): Flicker fixer. It can run as a BBS door game (Amiga version only), or with a GUI for local play. 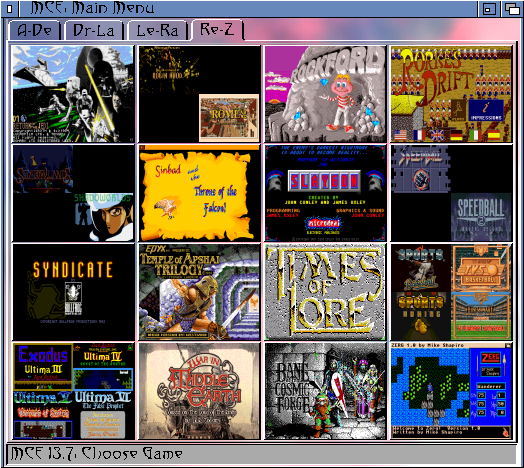 Requires (Amiga version): OS2.0+, 8Mb free RAM. Changes since V4.21: Miscellaneous improvements and bug fixes. Requires (AmigaOS 3.9 version): OS3.9+BB2, 10Mb free RAM. 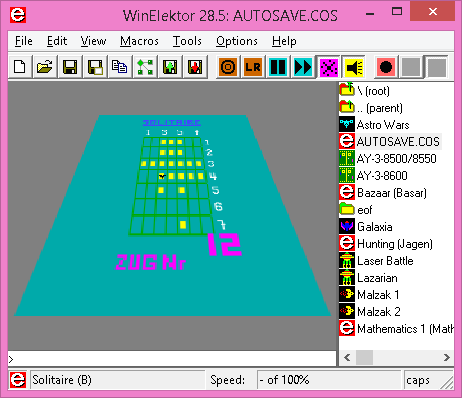 Added Quadralien saved game editor. It is a user-friendly, compatible replacement for the official Commodore bug reporting tool (V40.2), optionally sending emails automatically. 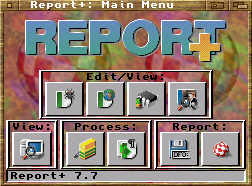 It can generate/edit Aminet-style and OS4Depot-style readmes. It can edit A3000/A4000-type battery-backed memory. It can access the official manufacturer and product ID registries. It can view IFF/RIFF files and their component chunks. It can perform batch processing on icon files. It can convert between various ASCII encodings. It can show directory byte usage for any path, optionally also fixing protection bits and/or deleting files. It can take a snapshot of a path and later compare the path against this, showing added, missing and changed files. 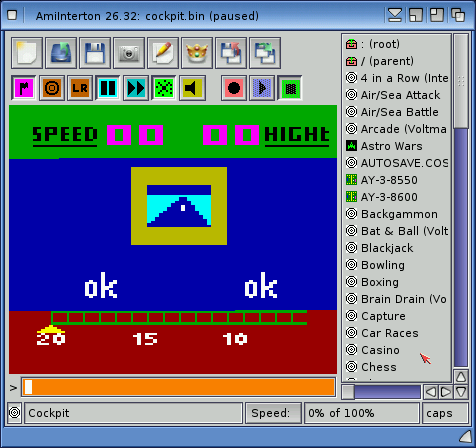 Requires (AmigaOS 3.9 version): OS3.9+BB2, 1&half;Mb free RAM. This is an upgrade to AmigaOS 3.9, providing improved features, performance and stability. Files in yellow are not available on Aminet, for various reasons. This page was created on 11/8/99, and was last updated on Tuesday 16/4/19. Everything is in English unless otherwise noted. Source code is generally included in each archive. All version numbers are decimal (eg. V1.4 is higher than V1.23). All dates are in dd/mm/yy format. If you have any questions, suggestions, problems, contributions, etc. about anything on this site, you can email us. The following images may be used to link to these sites.